Styled with landry pant . 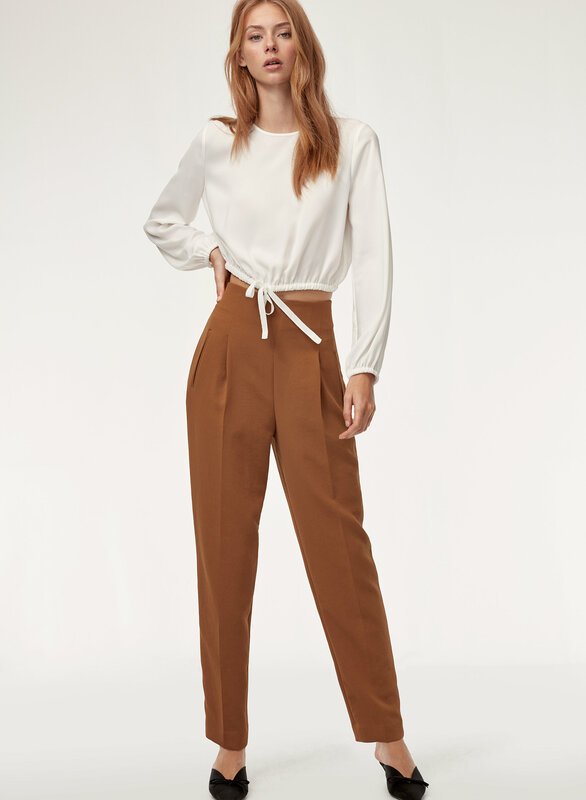 Made from vintage-inspired fabric from Japan, this crew-neck blouse is a seasonal update of our off-the-shoulder Eleanora. It features an encased elastic hem with self-tie detail as well as elastics at the cuffs for added sleeve volume. The ruching is flattering, feminine, and perfectly voluminous. Fits perfect and you can wear it to work, dinner, date.. very good buy. I got this in the Cairo Gold colour, and it is absolutely beautiful! It fits pretty cropped though - I'm usually XS to S and I ordered a S in this, it still comes up to under my bra when I raise my arms. It's also see through, as another reviewer mentioned. I got it on sale and I love the way it looks with high waisted jeans though, so 4/5 stars from me! Little right around the shoulders but overall loved the top!! I enjoy the fit of the sleeves. It’s kind of flowy and when pulled up, creates a different look. 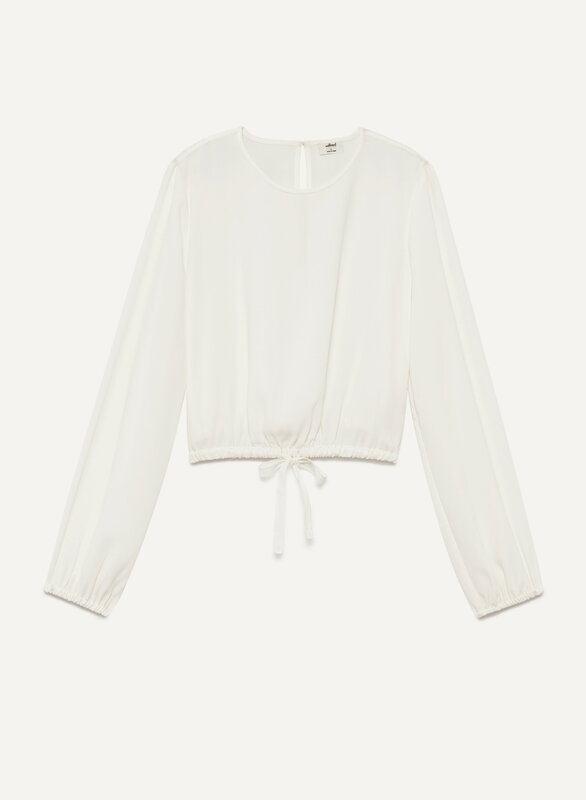 However, the fit of the blouse is more of a crop top fit. It can get uncomfortable and the material is see through. Outfit is cute. Can easily be paired with leggings and create an everyday kind of outfit.